The wide-ranging report from the nonprofit Americans for the Arts also affirms near-universal support for arts education and illustrates that 52% of Americans do, in fact, sing in the shower. Americans believe more strongly than ever that the arts provide meaning to their lives and can unify communities. That’s the main takeaway from a new report conducted by the nonprofit Americans for the Arts, which has helped advance cultural policies in the United States for over 50 years. According to their survey sample of over 3,000 adults, Americans believe that the arts are a fundamental component of a healthy society, defined as one that provides benefits to individuals, communities, and the nation. The report focuses on how participants perceive and engage in the arts as they pertain to their national and local identities. Readers might be surprised to learn that the most attended cultural events in the last year took place at zoos, aquariums, and botanical gardens. Museums and galleries came in sixth and seventh places, respectively, just after theatre performances. Overall, total attendance jumped from 68% in 2015 to 72% in 2018. Consistent with past studies, higher education and income levels coincided with attendance levels, but the report found that white people and people of color attended at least one art event at an equal rate. The survey also indicated that audiences want to see art in “non-traditional” venues like parks, public spaces, schools, airports, and hospitals. Quirkier data in the report reveals that 52% of respondents said that they sing in the shower or when nobody was listening, with an unusual 3% of people saying that they were unsure whether they did or not. Young adults ages 18–34 comprised the majority of bathroom chanteuses, with 68% of them saying yes. More shocking is how the Americans for the Arts 2018 study implicates the federal government in its findings. According to its data, 40% of Americans believe that the White House is not spending enough on nonprofit arts organizations. 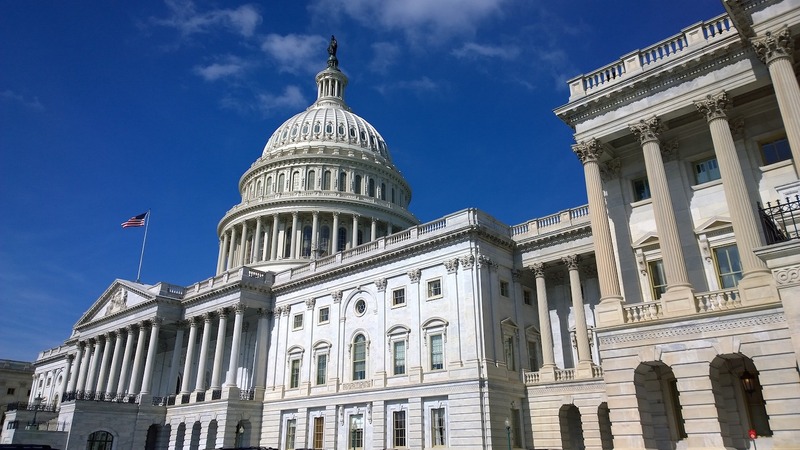 A majority of Americans (53%) also approve of doubling the federal government’s funding to these organizations and generally financing the arts (65%). 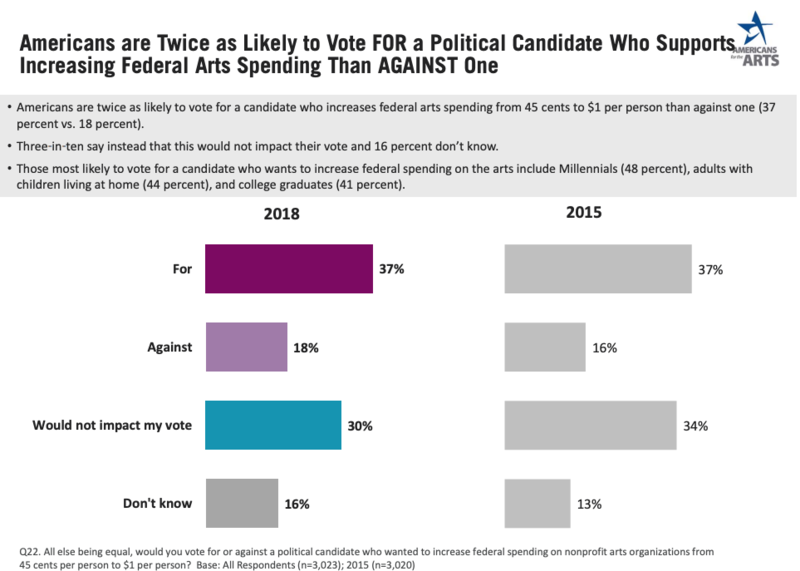 The report also found that respondents were twice as likely to vote for a candidate who increased federal arts spending from 45 cents to $1 per person — though this does not necessarily imply that cultural funding is a top priority for voters at the ballot box. Still, the policy implications here are fascinating, especially because the last study was completed in 2015, a year before Donald Trump’s presidential election and his demand for the defunding of the National Endowment for the Arts (NEA). Speaking of which, the study found near-universal support for arts education, with 91% of those surveyed saying that they believe the arts are part of a well-rounded K–12 education. This datapoint affirms the NEA’s pivot toward funding arts education and veteran programs under the organization’s new acting chairwoman, Mary Anne Carter.